I have had Scrivener and worked with it on Divining Murder, but after a version I had crashed, along with a computer I had, although I recovered all the files, I felt I had little confidence and stopped using it. It wasn’t Scrivener’s fault, but there was the extra trouble of opening files. Fiddly. But I downloaded another trial and began to use it again there were things I really wanted to do, and I knew Scrivener could do them, but I couldn’t make it obey me. How much different do I feel now? 1. Jeff’s innovative system involves videos that are, in general, less that 2 minutes long. For some reason the more than 100 short videos seem to really stick. 2. If you still don’t get it, there are screenshots of each move he makes, so that you can follow along. 3. Then of course the Units and videos are listed for easy reference when you have to go back and check on one of the hundreds of Scrivener functions that are on offer. 4. The basics module alerted me to many new possibilities in the most friendly, easy-to-learn manner. 5. There is no fluff in Joseph’s course, no filler, it is straight to information. 6. He assumes no before-hand information. 7. The Basics Unit gets you started quickly. 8. The Ninja Tricks Unit will have you using new facilities like a pro. 9. The Blogging Unit helps you plan and organise your blog(s) and social media posts and produce so much more output quickly and efficiently. 10. The introduction of Markdown (simple html) will keep your blog posts looking professional. I am not affiliated to Joseph’s teaching, but I think I should be, because I could go on singing the courses praises interminably. I am a space cadet. 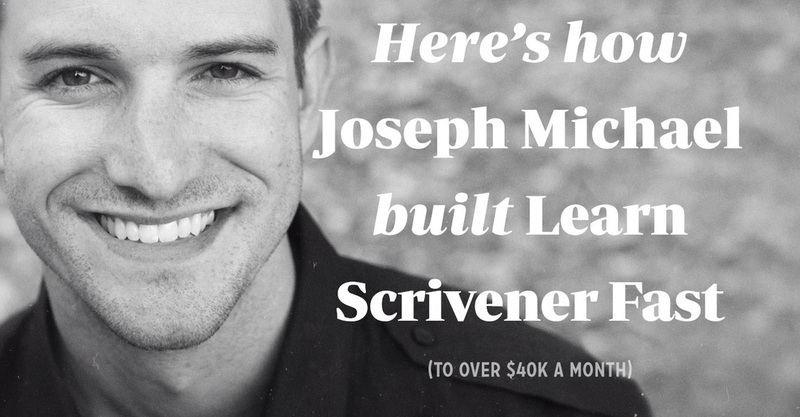 I would never have put the effort into learning all the fab stuff Scrivener can do for me if Joseph Michael hadn’t led me gently, but firmly by the hand to success. Doing the Amazon free promotion certainly increases your downloads (thousands for Clarissa and hundreds for Divining Murder) - both got to number one in their categories. However the day after the promo, when you see your sales fall is a little daunting. But then you realise your average sales have increased and it becomes something that has been worth it. This time around I used a tool from the lovely people at Book Marketing Tools for authors. I recommend their podcasts - but this tool really worked to post your free books to websites in minutes not hours. Marketing: How to find (and lose) your target audience in one fell swoop. Do not accidentally take over someone else's Facebook Group. They don't like it. In the blogs/ videos and webpages I read intermittently, there was the admonition to use Fb as a marketing tool to let people know that your book exists ( however brilliant your book is, it will just lie on the shelf of the biggest bookshop in the world and no one will be able to find it unless you promote it. You can see the advantage - it allows you to tweet your link easily. for this but tinyurl and other sites work too. So where did I post? Well as always I followed the instructions I got from my research. A lot of the links don't work for me and I mean to make a slightly shorter version of this list to help readers of this blog. So what happened? My free book downloads went wild. It works. It took me a bit further up the ranking, and a strange thing happened on bitly - I could see that a lot of downloads could not be accounted for by clicks - people on Amazon were finding me for themselves. My stupidity? I found a fb group that was my perfect audience. 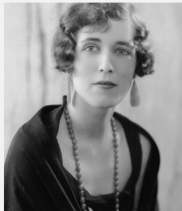 As it was Georgette Heyer that inspired me to write Clarissa, I found The Georgette Heyer Appreciation Group and had fun discussing her books, asked permission to post mine. But during the free promo, so many of the group members commented on my post that it began to take over the page. Suddenly, the group did not appear on my list - where was it? I can only assume I was blackballed by someone complaining to the admin. Audience lost never to return -- a big fat shame. What would I do differently? Possible post, but not reply to everyone. Or post less directly? It is so hard to know. I might have tried to friend more group members individually. They loved Clarissa, they told me - but when another Alicia Cameron novel arrives, they may never find out. Beware taking over a group - even if you don't mean to. Pay nobody for nothing ... big mistake. You must not decide, in a cantankerous mood, that self publishing means paying nobody for nothin'. Yes, vanity publishing was once a thing but now the whole climate is in flux and there are many ways to go forward. Publishing houses that writers pay to put out books but are fully staffed with editors, cover designers and marketing experts. Digital publishers that enhance the quality of your ebook and offer marketing help too. But having decided to go with Amazon's kindle direct publishing , you still have to be clear about what's needed. An editor as I said before. I had to take Clarissa down and repair several times and there are still one or two errors. Or three or four I don't want to do another fix now, for example, because then it would be down at the very moment when I'm launching a website and new Facebook page and I'd miss all those new ( a girl can dream) clicks. I didn't pay for an editor and suffered. I didn't request beta readers to help me notice mistakes or clunky bits and suffered. I delayed paying someone to make the front cover (you really need someone with artistic and graphic know-how. We have all seen those crime novel cover where the author gets his wife to dress up in a trench coat to indicate a female detective then adds the clumsiest title over the top of the out of focus shot). It doesn't cost a lot and you can audition artists on Fiverr (there are loads of talented graphic artists on Fiverr - and if you pay for extras on your gig you can get super quality) or Upwork where artists apply for a job you post at the price you post it. This is what five dollars as a cover for the short story Francine. Pretty darn good. As soon as it makes me some money, I'll give him a better wage. The sheer swiftness of the return of this job lets me know it took this whizz-kid a very little time. Paying people for help in launching a book that probably took you hundreds of hours isn't vanity, just professional. Do not believe the encouraging statement that your book will be uploaded in only 20 minutes. Mind you, it cheered me at the start but I've always been a sucker for optimism. Somewhere on kdp (which is Amazon's kindle direct publishing site) there must be all of this information in side bars. But we're talking me here. The hopeful basher-ahead. And I didn't read it. 1. A bank statement for the bank you want to be paid into. (I know it seems previous and ridiculous at the moment, when you only have only the vaguest hope that anyone other than your mother will buy it, but Amazon won't upload unless they have somewhere to pay you. ) You will need the usual account and sort code numbers but also two other numbers the BIC code and the IBAN (or SWIFT in US) to identify your bank internationally. Which is why you need the statement, (digital or paper) not just a card. 2. Your National Insurance Number for the US tax form. (Again you're thinking - Already? 'But .you cannot upload without it - and looking for it delays the process). 4. When you go on to add your book to Createspace (Amazon's free print-on-demand site) you will also need the measurements of a paperback that you wish your book to be (in inches) This will stop you staring at figures depicting book sizes with not a clue how to envisage them. 5. While we're on Createspace publishing, you will need your cover photo, an image for the back of your book and a blurb. The Createspace tools will lead you on from there. All of this saves jumping up like a jack-in-the-box at regular intervals and finding those pesky bits of paper that are at present in a filing cabinet under your husband's camera equipment which you absolutely did not kick. I won't lie to you, the rest won't occur in two minutes, but you really will have just saved yourself about two hours of phaffing around - and around.